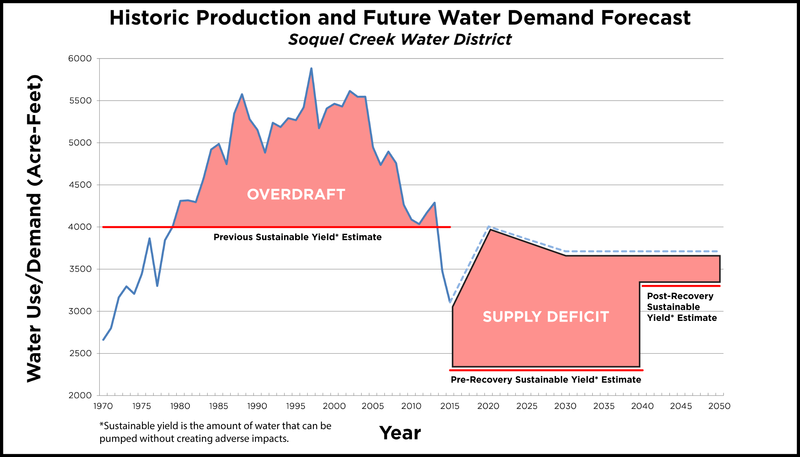 This graph represents pumping from Soquel Creek Water District only, but it is expected that this reflects overall basin conditions. 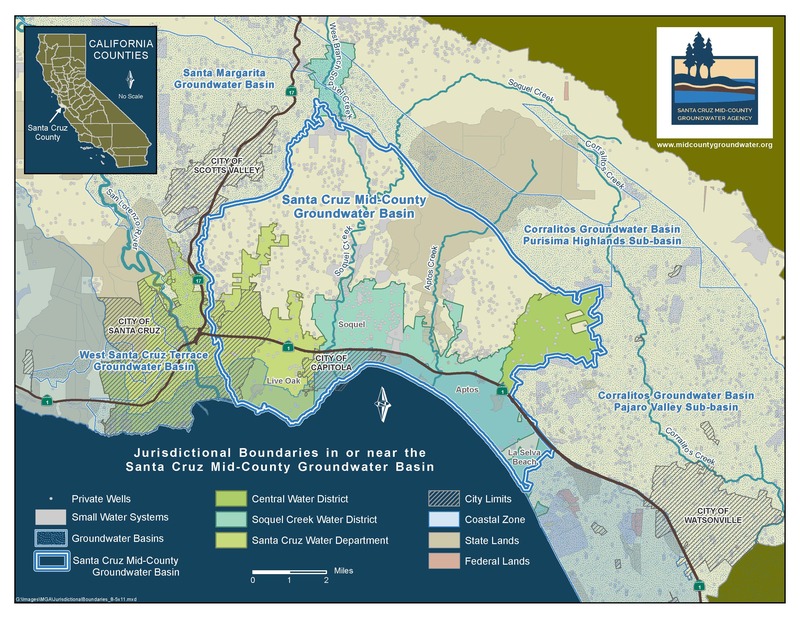 This will be further defined as the Groundwater Sustainability Plan is developed. 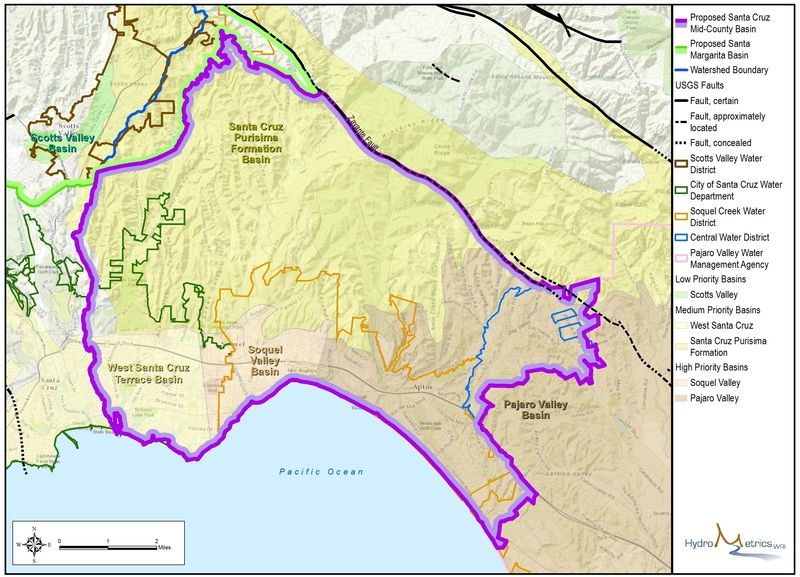 Proposed Basin Boundary post-local input. 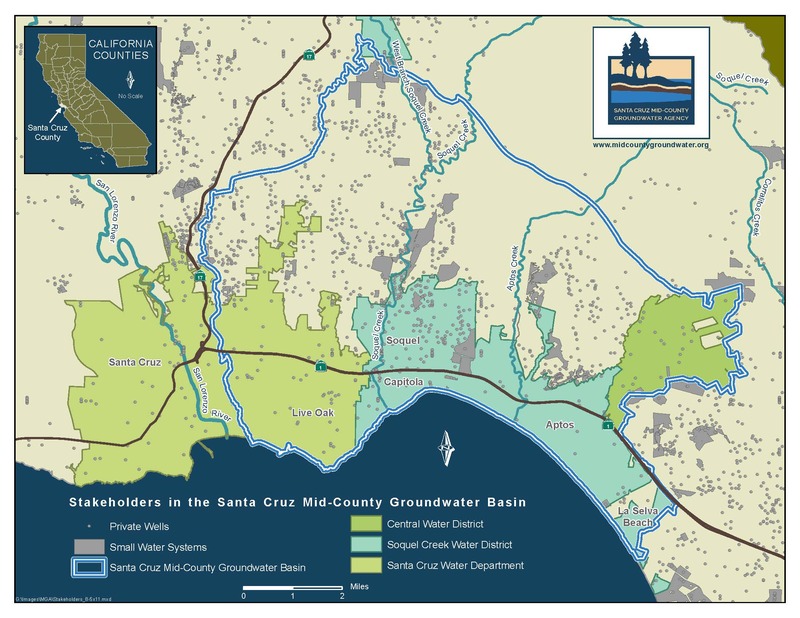 2014 Chloride Concentrations for Coastal Monitoring Wells. 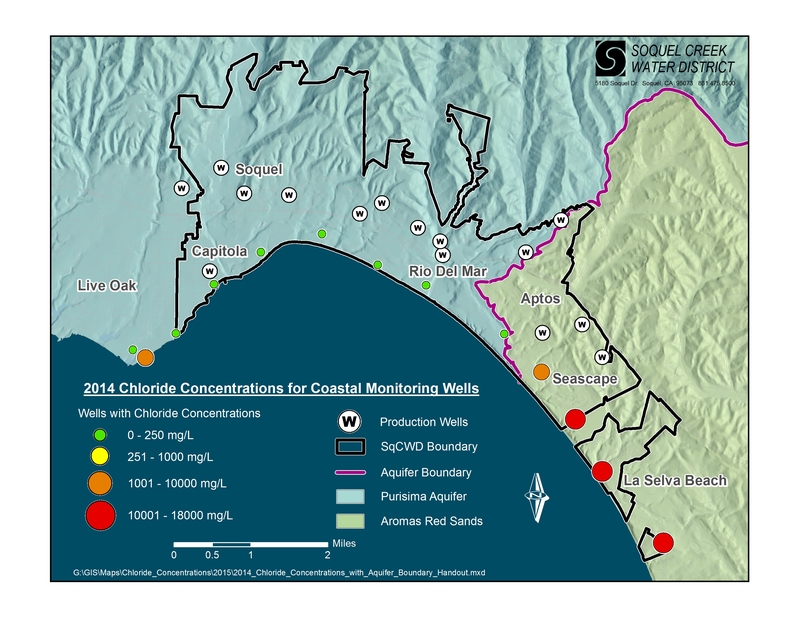 Orange and Red dots illustrate chloride concentrations above 100 mg/l which is an indicator of seawater intrusion.